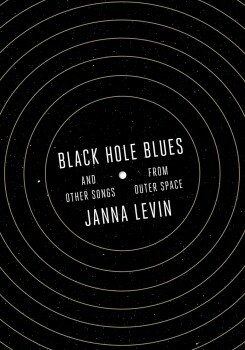 The following is an excerpt from Black Hole Blues and Other Songs from Outer Space, by Janna Levin. Note that LIGO detected gravitational waves on September 14, 2015, as this book was in its final stages. Levin addresses the discovery in the epilogue. You can also hear more about the finding in this SciFri segment. Somewhere in the universe two black holes collide—as heavy as stars, as small as cities, literally black (the complete absence of light) holes (empty hollows). Tethered by gravity, in their final seconds together the black holes course through thousands of revolutions about their eventual point of contact, churning up space and time until they crash and merge into one bigger black hole, an event more powerful than any since the origin of the universe, outputting more than a trillion times the power of a billion Suns. The black holes collide in complete darkness. None of the energy exploding from the collision comes out as light. No telescope will ever see the event. That profusion of energy emanates from the coalescing holes in a purely gravitational form, as waves in the shape of spacetime, as gravitational waves. An astronaut floating nearby would see nothing. But the space she occupied would ring, deforming her, squeezing then stretching. If close enough, her auditory mechanism could vibrate in response. She would hear the wave. In empty darkness, she could hear spacetime ring. (Barring death by black hole.) Gravitational waves are like sounds without a material medium. When black holes collide, they make a sound. No human has ever heard the sound of a gravitational wave. No instrument has indisputably recorded one. Traveling from the impact as fast as light to the Earth could take a billion years, and by the time the gravitational wave gets from the black hole collision to this planet, the din of the crash is imperceptibly faint. Fainter than that. Quieter than can be described with conventional superlatives. By the time the gravitational wave gets here, the ringing of space will involve relative changes in distance the width of an atomic nucleus over a stretch comparable to the span of three Earths. A campaign to record the skies began a half century ago. The Laser Interferometer Gravitational-Wave Observatory (LIGO) is to date the most expensive undertaking ever funded by the National Science Foundation (NSF), an independent federal agency that supports fundamental scientific research. There are two LIGO observatories, one in Hanford, Washington, and the other in Livingston, Louisiana. Each machine frames 4 square kilometers. With integrated costs exceeding a billion dollars and an international collaboration of hundreds of scientists and engineers, LIGO is the culmination of entire careers and decades of technological innovation. In the hopefully plentiful years that follow a first detection, the aspiration is for Earth-based observatories to record the sounds of cataclysmic astronomical events from many directions and from varied distances. Dead stars collide and old stars explode and the big bang happened. All kinds of high-impact mayhem can ring spacetime. Over the lifetime of the observatories, scientists will reconstruct a clanging discordant score to accompany the silent movie humanity has compiled of the history of the universe from still images of the sky, a series of frozen snapshots captured over the past four hundred years since Galileo first pointed a crude telescope at the Sun. I follow this monumental experimental attempt to measure subtle shifts in the shape of spacetime in part as a scientist hoping to make a contribution to a monolithic eld, in part as a neophyte hoping to understand an unfamiliar machine, in part as a writer hoping to document the first human-procured records of bare black holes. As the global network of gravity observatories nears the final stretch of this race, it gets harder to turn attention away from the promise of discovery, although there are still those who vehemently doubt the prospects for success. Under the gloom of a controversial beginning and the opposition of powerful scientists, grievous internal battles, and arduous technological dilemmas, LIGO recovered and grew, hitting projections and escalating in capability. Five decades after the experimental ambition began, we are on the eve of the crash of a colossal machine into a wisp of a sound. An idea sparked in the 1960s, a thought experiment, an amusing haiku, is now a thing of metal and glass. Advanced LIGO began to record the skies in the fall 2015, a century after Einstein published his mathematical description of gravitational waves. The instruments should reach optimum sensitivity within a year or two, maybe three. The early generation of machines proved the concept, but still success is never guaranteed. Nature doesn’t always comply. The advanced machines will lock on and tolerate adjustments and corrections and calibrations and wait for something extraordinary to happen, while the scientists push aside their doubts and press toward the finish. As much as this book is a chronicle of gravitational waves—a sonic record of the history of the universe, a soundtrack to match the silent movie—it is a tribute to a quixotic, epic, harrowing experimental endeavor, a tribute to a fool’s ambition. Adapted from Black Hole Blues and Other Songs from Outer Space by Janna Levin, copyright © 2016 by Janna Levin. 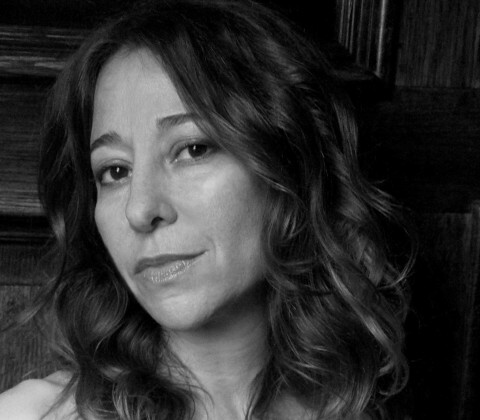 Published by arrangement with Alfred A. Knopf, an imprint of The Knopf Doubleday Publishing Group, a division of Penguin Random House LLC.